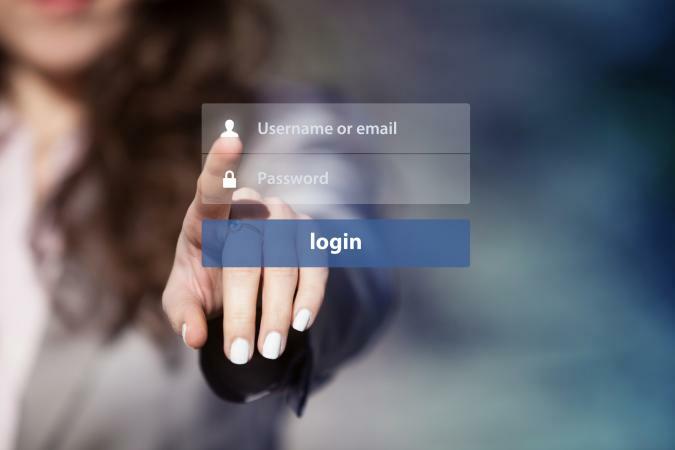 Whether you plan to meet a new love interest, land a new job or play a quick game of online poker, the username you choose will be your first impression to the world. So, how do you create a catchy handle that best represents you? When selecting the perfect username, it is best to consider the purpose for the account and also your audience. Professional sites like LinkedIn require you to use your real name, while more casual social media sites may allow for a certain amount of anonymity. If you are a business owner, you might select a username that incorporates your brand. This helps customers locate you and it also keeps your business brand fresh in their minds. Just remember that your behavior online is linked to the name you select. Create separate profiles for your online activities to ensure that your private life and professional life remain appropriately separate. What's important here is that the style remains consistent across the company, so all employees should follow the same format when choosing usernames for the same online service or social network. In the work environment, err on the side of caution and use your actual name. It may also be helpful to use your first initial and last name to provide a slight amount of obscurity in the workplace. Integrating a period into your username can help to separate your first and last names. In the case of Gmail accounts, john.smith@gmail.com is actually the same address as johnsmith@gmail.com. When surfing online or simply posting to social media sites, select a name that best fits your interests and hobbies without revealing any personal information. Online forum members may opt for handles that are fun, catchy and selectively crafted to reveal nothing personal about the user. For sites that do not involve business or personal purposes, be cautious about the information you reveal. Do not include your address, phone number or any information that could be used to locate or identify you. Do not include your birth year in your username. Exercise discretion when including your general geographic location. Choose usernames that are not associated with your email address. This can open up vulnerabilities to hacking, phishing and identity theft. Do not use the same profile name for multiple accounts or platforms if you wish to stay anonymous. With so many people online across so many online forums and platforms, your first choice might already be taken. A common but generally unsafe practice to circumvent this problem is to include a birth year. If "Stormtrooper" is taken, a user may feel inclined to opt for "Stormtrooper1990." It becomes far too obvious that this person was born in 1990. This is very risky behavior and should be avoided. Your favorite movie titles, actors, or actresses: If you are a big fan of The Lord of the Rings, you might consider names like TheOneRing, GrumpyGimli, or FilthyHobbitses. A pastime or unique interest: If you really enjoy R&B music from the 90s and older, you might think about a username like MotownSoloist, RNBsMyJam, or Soulfull. A treasured childhood classic: Think about what you really liked as a kid and what may have helped to shape you into who are you today. Did you have a favorite toy or cartoon? Possible examples might include GonzosPal (The Muppets), SpokeNSpelled (Speak & Spell toy), or ShellShockd (Ninja Turtles). A word or a phrase in another language: Consider one of your hobbies and twist it by using an equivalent term in a foreign language. Explore your culinary interests as LaBelleViennoiserie, Capoboss or TekkaOnigiri, for example. Combine two of your favorite items: For a unique username that is uniquely yours, combine two of your biggest interests or favorite things. A Jane Austen fan who also likes Tinkerbell might consider VanityFairy. The combination doesn't even need to make logical sense, like TartanPolkaDots. If you like Japanese food and gadgets, TechyMaki could be a fun example. If you are looking for more inspiration, you can start by using one of many username generators on the web. Many of these allow you to define a keyword and/or category, producing a great number of potential suggestions. You may or may not want to use the specific examples generated, but they can provide a great jumping off point. The most important thing about your username is that you love it. As long as it is something that identifies who you are and maintains a comfortable level of security, you are well on your way to choosing the perfect online persona.